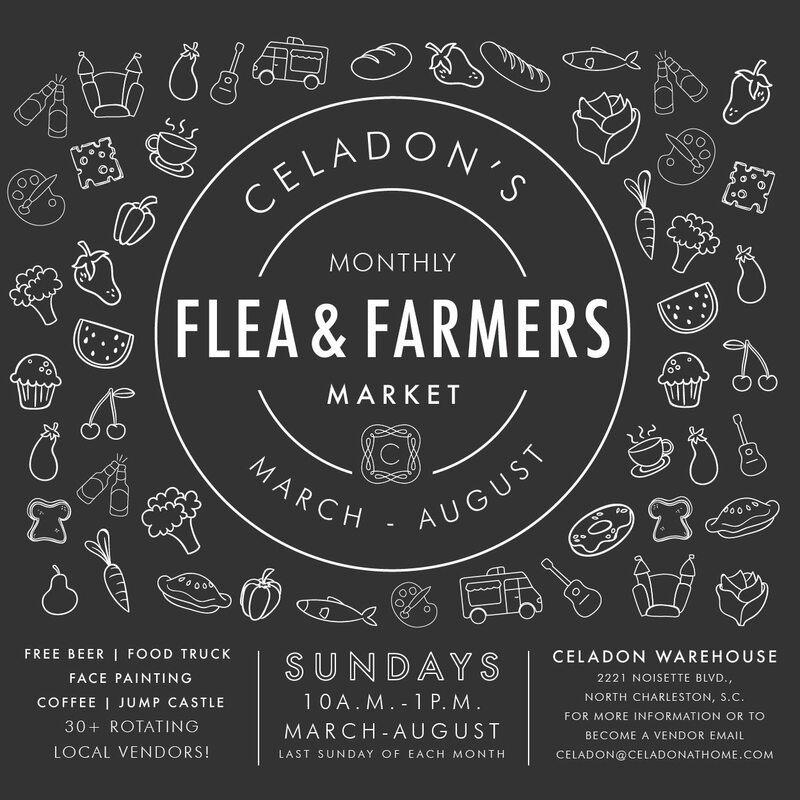 Home > Event Calendar > Celadon Sunday Flea & Farmers Market! Celadon Sunday Flea & Farmers Market! COME JOIN US FOR OUR AUGUST FLEA & FARMERS MARKET! Our BIGGEST flea EVER! Happening on the last Sunday of each month March – August, we open our warehouse up from 10am-1pm to local vendors; including artisans, crafters, makers and farmers! ++ FRESH PRODUCE from Legare Farms !! Come hungry; every market will have a wide variety of food trucks, coffee, and sweet treat vendors! If you are interested in becoming a vendor – please email sboiter@celadonathome.com to apply!